Meet Christopher: An Osage Boy from Oklahoma by Genevieve Simermeyer. Photographs by Katherine Fogden. My World: Young Native Americans Today series. Council Oak Books. 2008. This book, written by an Osage woman, introduces readers to Christopher, a contemporary Osage boy. By exploring Christopher's everyday life, family, and culture, the book shows how he is raised within both Osage culture and mainstream American culture. This approach not only teaches the reader about Osage culture, but also helps remove cultural barriers by showing that Native American kids today are in many ways just like other American kids. Tallchief: America’s Prima Ballerina by Maria Tallchief with Rosemary Wells. Puffin Books. 2001. Osage Maria Tallchief was the first prima ballerina in the U.S., and remains one of the most famous ballerinas in history. This children's book integrates the biography of Maria Tallchief with her Osage heritage, and her early years growing up on the Osage Reservation in Oklahoma. By connecting the Osage people with the highest level of artistic achievement, this book helps remove stereotypes of Native Americans as "primitive" people of the distant past..
​Art of the Osage by Garrick Bailey and Daniel C. Swan, University of Washington Press. 2004. 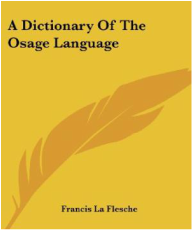 This book provides an excellent synthesis of Osage history and culture, as well as Osage art and material culture.